It's truly astonishing that the dominant model for formal learning is still “sit and git.” It's not just astonishing; it's embarrassing. Why do we persist when the evidence that lecture alone does not cut it is so strong (Dolcourt, 2000; Slavin, 1994)? The reason for the dissonance between what we know and what we do may be traced back a hundred years. For decades, the educational and scientific communities seemed to believe that thinking was thinking and movement was movement, and each was as separate as could be. Maverick scientists envisioned links between thinking and movement, but their ideas gained little public support. Today we know better. This chapter discusses the strong connections between physical education, movement, breaks, recess, energizing activities, and improved cognition. It demonstrates that movement can be an effective cognitive strategy to (1) strengthen learning, (2) improve memory and retrieval, and (3) enhance learner motivation and morale. In times of diminishing financial resources, educators must make hard choices. Do dance, theater, recess, and physical education belong in the curriculum? Can we afford to keep them in the budget? Are they frills or fundamentals? What does brain research tell us about the relationship between body and mind? If movement and learning are connected, we should expect evidence to support the idea. In fact, there is plenty of evidence. Why is all this important? 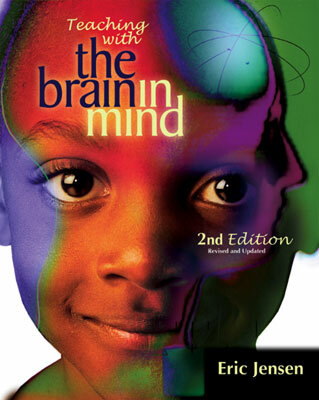 One of the fundamental tenets of this book is that we have to teach with the brain in mind. Because movement is a natural part of the school day, that movement will influence the brains of students. It is essential that we explore the ways we are shaping students' brains. To do so, let's look at some anatomical, imaging, cognitive, and functional studies that suggest we ought to be supporting more movement in the learning process, not less. The first evidence of a linkage between mind and body was scattered in various proposals over the past century (Schmahmann, 1997). Today, the evidence has become a groundswell, and most neuroscientists agree that movement and cognition are powerfully connected. The area of the brain most associated with motor control is the cerebellum. It's located in the back of the brain, just under the occipital lobe, and is about the size of a small fist. The cerebellum takes up just one-tenth of the brain by volume, but it contains nearly half of all its neurons (Ivry & Fiez, 2000). This structure, densely packed with neurons, may be the most complex part of the brain. In fact, it has some 40 million nerve fibers—40 times more than even the highly complex optical tract. Those fibers feed information from the cortex to the cerebellum, and they feed data back to the cortex. In fact, most of the neural circuits from the cerebellum are “outbound,” influencing the rest of the brain (Middleton & Strick, 1994). Peter Strick at the Veteran Affairs Medical Center of Syracuse, New York, has documented another link. His staff has traced a pathway from the cerebellum back to parts of the brain involved in memory, attention, and spatial perception. Amazingly, the part of the brain that processes movement is the same part of the brain that processes learning (see Figure 4.1). New data, primarily from studies using functional magnetic resonance imaging (fMRI), have provided support for parallel roles of cognitive structures and movement structures such as the cerebellum. We learn to predict (think about) our movements before we execute them (move) so that we control them better (Flanagan, Vetter, Johansson, & Wolpert, 2003). This ability suggests that all motor activity is preceded by quick thought processes that set goals, analyze variables, predict outcomes, and execute movements. Pulling this off requires widespread connections to all sensory areas. Various studies support the relationship between movement and the visual system (Shulman et al., 1997), movement and the language systems (Kim, Ugirbil, & Strick, 1994), movement and memory (Desmond, Gabrielli, Wagner, Ginier, & Glover, 1997), and movement and attention (Courchesne & Allen, 1997). These studies do not suggest that there is movement in those functions. But they suggest a relationship with the cerebellum in such mental processes as predicting, sequencing, ordering, timing, and practicing or rehearsing a task before carrying it out. The cerebellum can make predictive and corrective actions regardless of whether it's dealing with a gross-motor task sequence or a mentally rehearsed task sequence. In fact, the harder the task you ask of students, the greater the cerebellar activity (Ivry, 1997). Taken as a whole, a solid body of evidence shows a strong relationship between motor and cognitive processes. Just how important is movement to learning? The vestibular (inner ear) and cerebellar (motor activity) system is the first sensory system to mature. In this system, the inner ear's semicircular canals and the vestibular nuclei are an information-gathering and feedback source for movements. Impulses travel through nerve tracts back and forth from the cerebellum to the rest of the brain, including the visual system and the sensory cortex. The vestibular nuclei are closely modulated by the cerebellum and also activate the reticular activating system, near the top of the brain stem. This area is critical to our attentional system, because it regulates incoming sensory data. This interaction helps us keep our balance, turn thoughts into actions, and coordinate movements. That's why there's value in playground activities that stimulate inner-ear motion, like swinging, rolling, and jumping. A complete routine might include spinning, crawling, rolling, rocking, tumbling, and pointing. As noted in Chapter 2, Lyelle Palmer of Winona State University has documented significant gains in attention and reading from these stimulating activities (Palmer, 2003). Currently, the MEDLINE database shows more than 33,000 scientific articles on the topic of exercise, and the vast majority of them confirm its value. One study showed that people who exercise have far more cortical mass than those who don't (Anderson, Eckburg, & Relucio, 2002). Simple biology supports an obvious link between movement and learning. Oxygen is essential for brain function, and enhanced blood flow increases the amount of oxygen transported to the brain. Physical activity is a reliable way to increase blood flow, and hence oxygen, to the brain. In William Greenough's experiments at the University of Illinois, rats that exercised in enriched environments had a greater number of connections among neurons than those that didn't. They also had more capillaries around the brain's neurons than sedentary rats (Greenough & Anderson, 1991). Solid evidence suggests that even going for brisk walks can elicit this state of arousal—meaning an increase in heart rate, EEG activity, and more excitatory active brain chemicals (Saklofske & Kelly, 1992). In fact, if you haven't yet taken a break from reading this riveting chapter, you might stand and stretch for a moment. Why? Standing can raise heart rate (hence, blood flow) by as much as 5 to 8 percent in just seconds (Krock & Hartung, 1992). And finally, here's a powerful research finding: evidence from animal studies indicates that voluntary exercise influences gene expression to improve learning and memory (Tong, Shen, Perreau, Balazs, & Cotman, 2001). This improved pattern of gene expression enhances many factors that support the encoding and transfer of data, synaptic structure, and the activity and plasticity of neurons. All of these processes facilitate learning. An astonishingly high 68 percent of high school students in the United States do not participate in a daily physical education program (Grunbaum et al., 2002). Why should we be concerned? Because in the same way that exercise shapes up the muscles, heart, lungs, and bones, it also strengthens the basal ganglia, cerebellum, and corpus callosum—all key areas of the brain. We know exercise fuels the brain with oxygen, but it also feeds it neurotropins (high-nutrient chemical “packages”) to increase the number of connections between neurons. Most astonishingly, exercise is known to increase the baseline of new neuron growth. Rats grow more brain cells when they exercise than when they don't exercise (Van Praag et al., 1999). In addition, studies link this increased neurogenesis to increased cognition, better memory, and reduced likelihood of depression (Kempermann, 2002). Imagine that: Exercise may grow a better brain! It suggests both a huge opportunity and the liability suffered by students who don't get enough exercise. We may not be overstating the case to say that it's educational malpractice when only about a third of K–12 students take part in a daily physical education class. Researcher Terrence Dwyer is one of many who have conducted multiple studies suggesting that exercise supports success in school. His research found that exercise improves classroom behavior and academic performance (Dwyer, Sallis, Blizzard, Lazarus, & Dean, 2001) and that even when an experimental group got four times more exercise per week than a control group of their peers (375 minutes versus 90 minutes), their “loss” in studying time did not translate into lower academic scores (Dwyer, Blizzard, & Dean, 1996). His research further revealed that social skills improved in the groups who exercised more. Other research (Donevan & Andrew, 1986) has found that students who are engaged in daily physical education programs consistently show not just superior motor fitness, but better academic performance and a better attitude toward school than their students who do not participate in daily P.E. Exercise play (aerobics, running, chasing, dance routines). Rough-and-tumble play (soccer, football, wrestling). Solitary play (doing puzzles, object manipulation). Outdoor learning activities (digging, observing insects). Stand and stretch activities (tai chi, Simon Says). Group or team competitive games and activities (relays, cheerleading). Constructive play (building with blocks, model building). Exploratory play (hide and seek, scavenger hunts, make-believe). Functional play (purposeful play, such as practicing a new skill). Group noncompetitive games (earth ball). Individual competitive games (marbles, track and field, hopscotch). Adventure or confidence play (ropes courses, trust walks). Group noncompetitive activities (dance, drama). It allows learners to make mistakes without “lethal” consequences (with far less embarrassment and more fun than in a traditional classroom situation). It enhances learning (Fordyce & Wehner, 1993). It improves the ability to handle stress by “training” the body to recover faster from the quick surges of adrenaline associated with demanding physical activity . . . and classroom environments. It triggers the release of BDNF, brain-derived neurotrophic factor (Kesslak, Patrick, So, Cotman, & Gomez-Pinilla, 1998). This natural substance enhances cognition by boosting the neurons' ability to communicate with one another. It can enhance social skills, emotional intelligence, and conflict resolution ability. Exercise may increase catecholamines (brain chemicals such as norepinephrine and dopamine), which typically serve to energize and elevate mood (Chaouloff, 1989). The case for children doing something physical every day is growing. Jenny Seham of the National Dance Institute (NDI) in New York City says she has observed for years the measurable academic and social results of schoolchildren who study dance. She notes the positive changes in self-discipline, grades, and sense of purpose in life that her students demonstrate. She's now in the process of quantifying the results of more than 1,500 kids who dance weekly at NDI. Although many educators know about the connection between learning and movement, nearly as many dismiss the connection once children get beyond 1st or 2nd grade. Yet the relationship between movement and learning is so strong that it pervades all of life—and emotions are intertwined into the mix as well. Educators generally consign movement, emotion, and thinking to separate “compartments.” Students may feel awkward if they want to express emotions or move around when teachers want them to be still and think. Teachers need to realize that what the students are experiencing is simply a healthy integration of mind and body (see Figure 4.2). Many teachers have found that programs that include movement help learners with special needs. Several hypotheses may explain this phenomenon. Many special-needs learners are stuck in counterproductive mental states, and movement is a quick way to change them. Second, movements, such as those involved in playing active games, will activate the brain across a wide variety of areas. It may be the stimulation of those neural networks that helps trigger some learning. For other students, it may be the rise in energy, the increased blood flow, and the amines that put them in a better mood to think and recall. Some routines that call for slower movement can do the reverse, calming down students who are overactive, hence supporting a state of concentration. A study by Reynolds and colleagues (2003) found that children with dyslexia were helped by a movement program. Those in the intervention group showed significantly greater improvement in dexterity, reading, verbal fluency, and semantic fluency than did the control group. The exercising group also made substantial gains on national standardized tests of reading, writing, and comprehension in comparison with students in the previous year. Some of the smartest things teachers can do are the simplest. When we keep students active, we keep their energy levels up and provide their brains with the oxygen-rich blood needed for highest performance. Teachers who insist that students remain seated during the entire class period are not promoting optimal conditions for learning. Educators should purposefully integrate movement activities into everyday learning: not just hands-on classroom activities, but also daily stretching, walks, dance, drama, seat-changing, energizers, and physical education. The whole notion of using only logical thinking in, for example, a mathematics class flies in the face of current brain research. In fact, Larry Abraham in the Department of Kinesiology at the University of Texas-Austin says, “Classroom teachers should have kids move for the same reason that P.E. teachers have had kids count” (personal communication, 1997). Brain-compatible learning means that educators should weave math, geography, social skills, role-play, science, and physical education together, along with movement, drama, and the arts. Don't wait for a special event. Here are examples of easy-to-use strategies. What are my goals for today and this year? What do I need to do today and this week in this class to reach my goals? Why is it important for me to reach my goals today? You can invent other questions or ask students to create some of their own. Drama and role-plays. Get your class used to daily or at least weekly role-plays. Have students play charades to review main ideas. Students can do an extemporaneous pantomime to dramatize a key point. Do one-minute commercials adapted from television to advertise upcoming content or to review past content. Quick games. Use ball-toss games for review, vocabulary building, storytelling, or self-disclosure. Have students rewrite lyrics to familiar songs in pairs or as a team. The new words to the song can provide a content review. Then have the students perform the song with choreography. Get physical in other ways, too. Play a tug-of-war game in which everyone chooses a partner and a topic from a list of topics that every student has been learning about. Each person forms an opinion about his or her topic. The goal is for each student to convince a partner in 30 seconds why his or her topic is more important. After the verbal debate, the pairs form two teams for a giant tug of war for a physical challenge. All partners are on opposite sides. Cross-laterals. Learn and use arm and leg crossover activities that can force both brain hemispheres to “talk” to each other better. “Pat your head and rub your belly” is an example of a crossover activity. Other examples include marching in place while patting opposite knees, patting yourself on the opposite shoulder, and touching opposite elbows or heels. Several books highlight these activities, including Sensorcises by Laurie Glazner and Smart Moves and The Dominance Factor by Carla Hannaford. Stretching. To open class, or anytime that you and your students need more oxygen, get everyone up to do some slow stretching. Ask students to lead the whole group, or let teams do their own stretching. Allow learners more mobility in the classroom during specific times. Give them errands to do, make a jump rope available, or simply let them walk around the back of the classroom as long as they do not disturb other students. Physical education and recess. Budget cuts often target physical education as “a frill.” That's a shame, because, as we have seen, good evidence indicates that these activities make school interesting to many students, and they can help boost academic performance. We're not talking about going overboard with exercises. Thirty minutes a day, three to five days a week will do the job (Tomporowski, 2003). Any school that has problems at recess or with physical education should fix the problems, not throw out an important asset. Teachers should also ensure that breaks include some movement—no standing around at recess time! Breaks can include fast walking, running, or high-energy play (McNaughten & Gabbard, 1993). The breaks must last for 30 or 40 minutes to maximize the cognitive effects (Gabbard & Shea, 1979). For breaks of that length, it may make sense to alternate highly challenging activities with more relaxing ones. A short recess arouses students and may leave them “hyper” and less able to concentrate. A longer break engages high energy, but it cannot be sustained. Thus, a more calm, restful state of relaxation should follow. This pattern allows the students to focus better on the task at hand. Breaks at midday and early afternoon provide a greater benefit to the students than an early morning recess (McNaughten & Gabbard, 1993). Because longer breaks are more valuable than shorter ones, timing may dictate that the midday break also be used for lunch. Strong evidence supports the connection between movement and learning. Evidence from imaging sources, anatomical studies, and clinical data shows that moderate exercise enhances cognitive processing. It also increases the number of brain cells. And as a bonus, it can reduce childhood obesity. Schools that do not implement a solid physical activity program are shortchanging student brains and their potential for academic performance. Movement activities should become as important as so-called “book work.” We need to better allocate resources to harness the hidden power of movement, activities, and sports. This attitude has become more and more prevalent among scientists who study the brain. It's time for educators to catch on.